Will robots (or more accurately, automation) replace human workers? Probably not… at least not yet. Still, plenty of machines continue to perform tasks once reserved for humankind. But they still cannot do one thing that people can: work well with others. Positions that require social skills have been responsible for nearly all job growth since 1980, according to a working paper published by the National Bureau of Economic Research. The research maintains that hard-to-automate jobs will continue to call upon that most human of abilities—people skills. People skills include the ability to communicate effectively with wide array of people, work productively with various personalities, build relationships, and empathize. More jobs today are calling for workers with such skills, especially people who can collaborate and show flexibility. These skills also seem to lead to higher earning potential regardless of education and cognitive abilities. Additionally, the more a job requires interaction with others, the greater the need for advanced social skills, the research indicates. 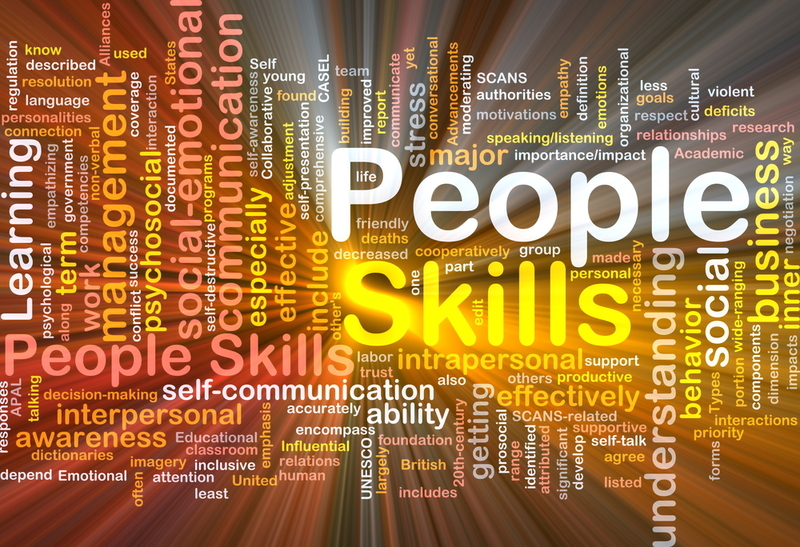 Social skills, soft skills, and emotional intelligence are often cited as keys to success. In fact, the ability to communicate and collaborate well—in other words, social skills—continue to be named as top desired characteristics in workers. Until technology can come up with an app that can collaborate and communicate, people who can demonstrate their ability to negotiate the human terrain of interpersonal relationships will be highly sought. Why do you think employers continue to value the ability to collaborate? What are three things you can do now that will enhance your ability to communicate and work well with others? Given that employers need workers who can communicate well, why is writing important? This entry was posted in 3. News You Can Use and tagged emotional intelligence, people skills on November 5, 2015 by bizcombuzz.